Click on 'Browse' button to browse the path where recovered data will be saved. 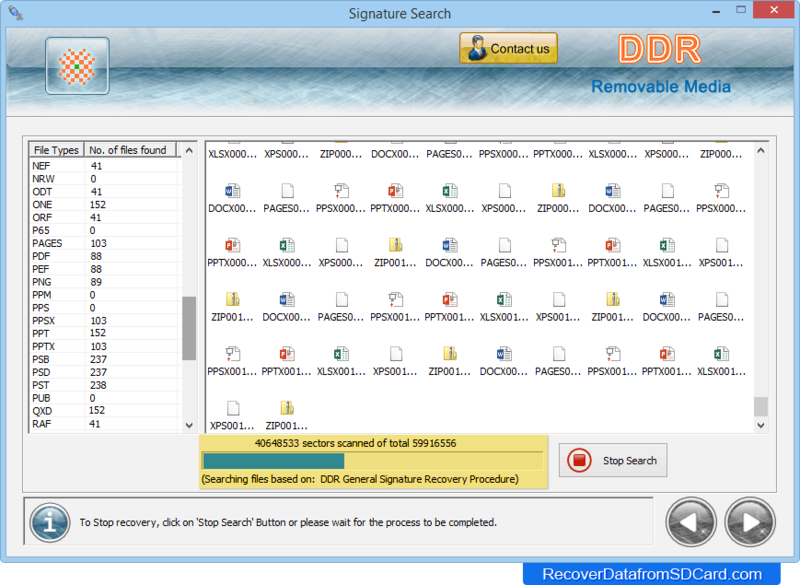 File searching based on DDR General Signature Recovery Procedure. 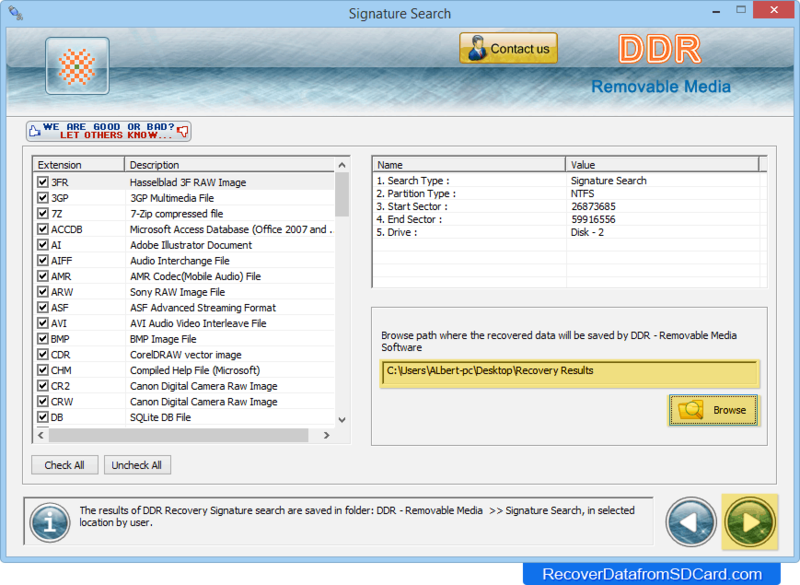 Click on 'Open Containing Folder' to view recovered data.